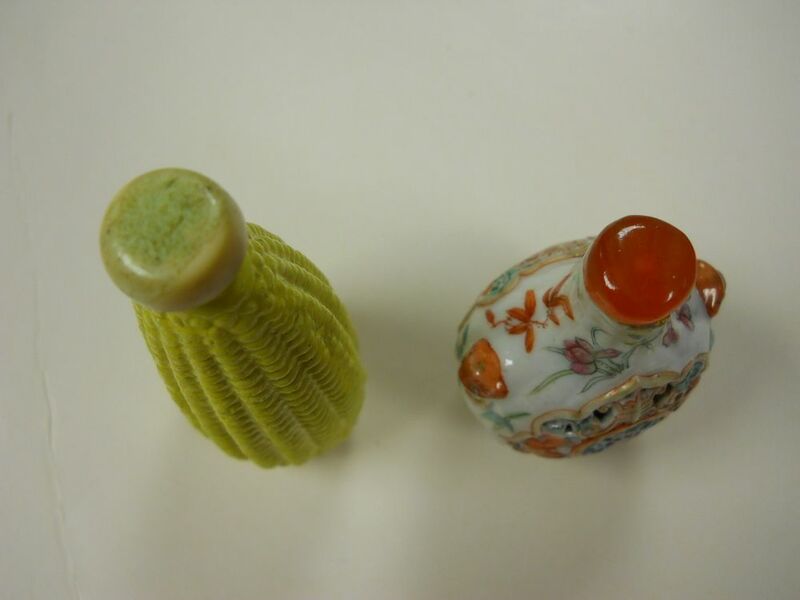 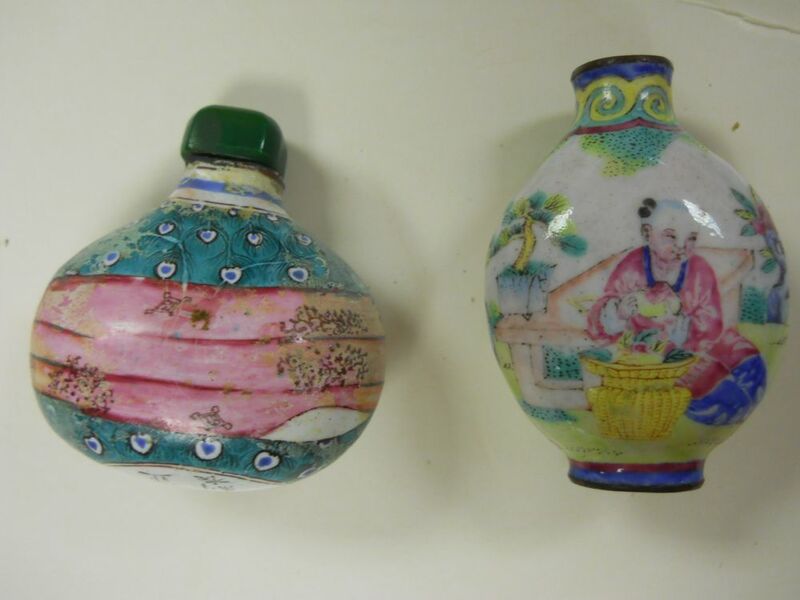 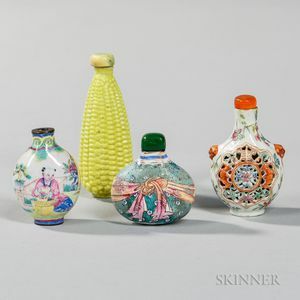 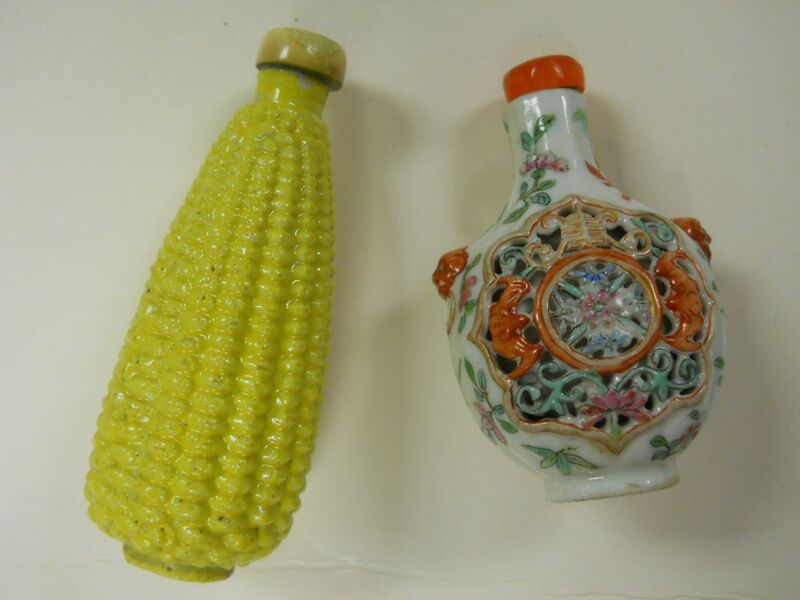 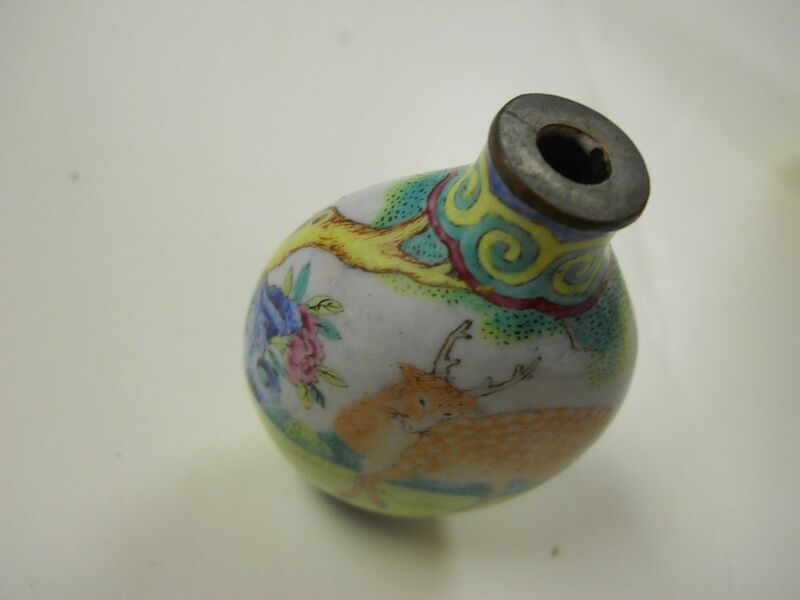 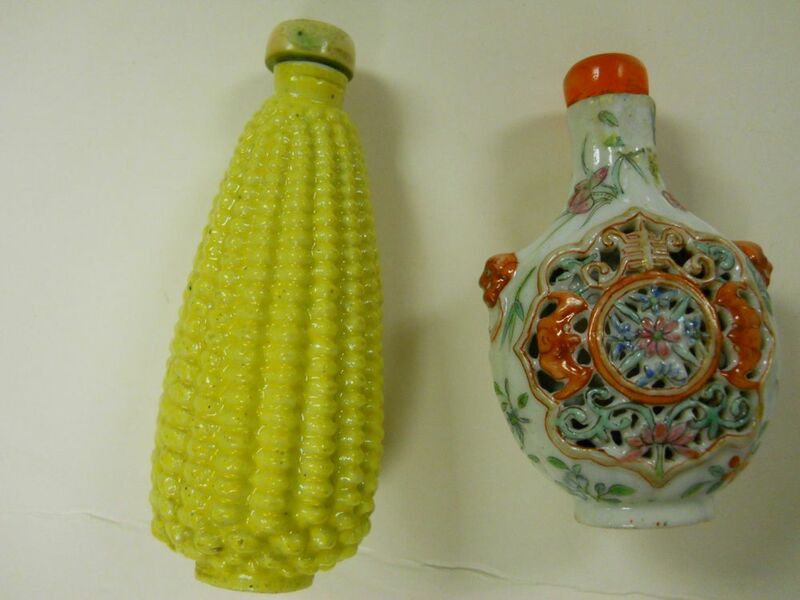 Four Snuff Bottles, China, 19th/20th century, two Canton enamels with Qianlong and Yongzheng mark on base respectively; a yellow-glazed corn-shape bottle; and a famille rose bottle with pierced design, Daoguang mark on base, ht. 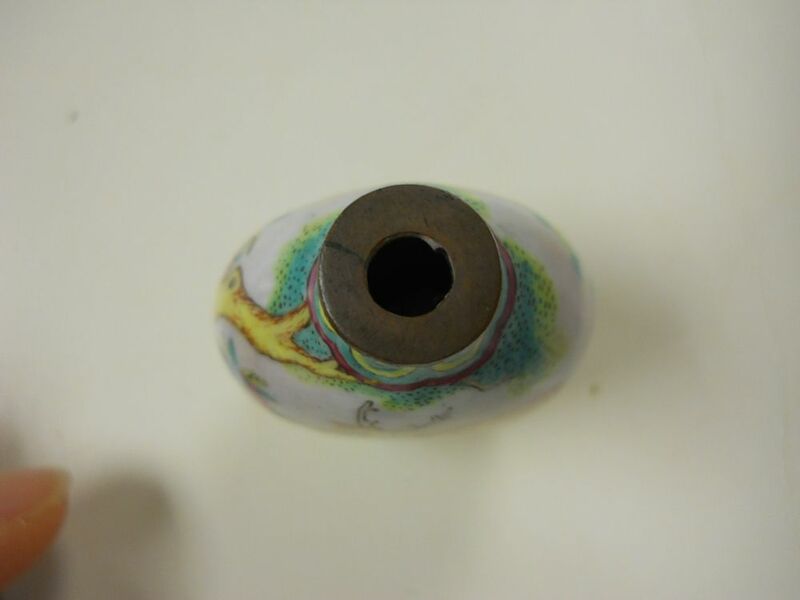 to 3 in. 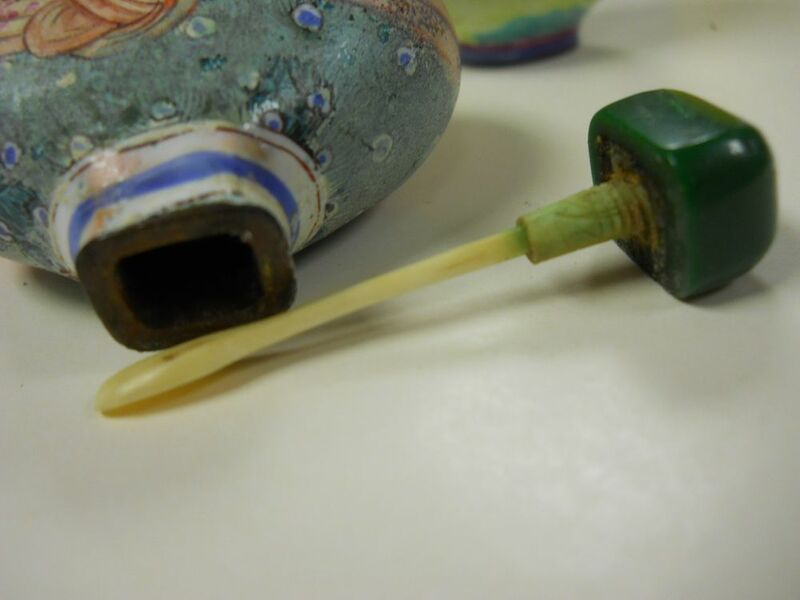 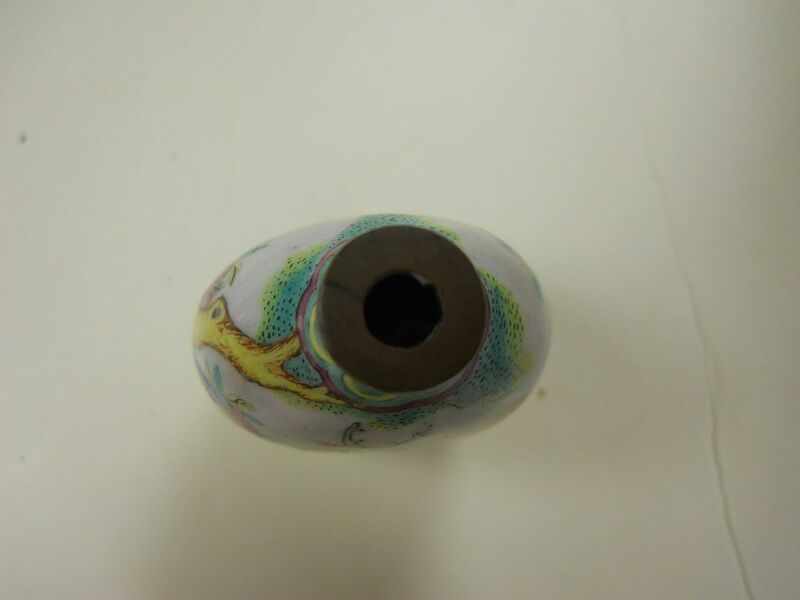 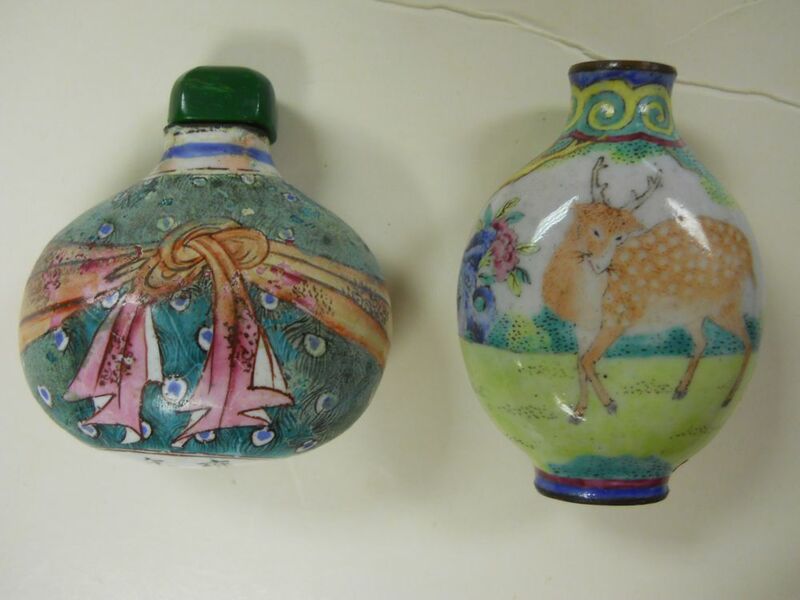 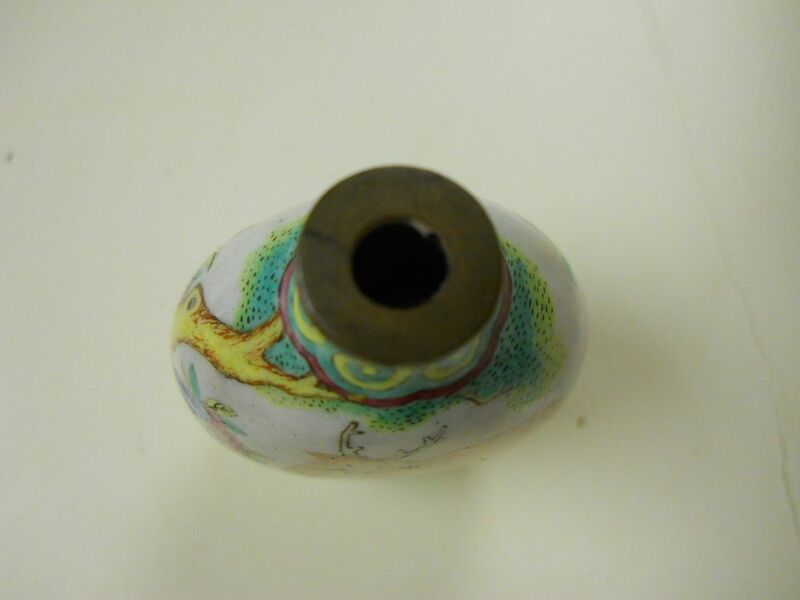 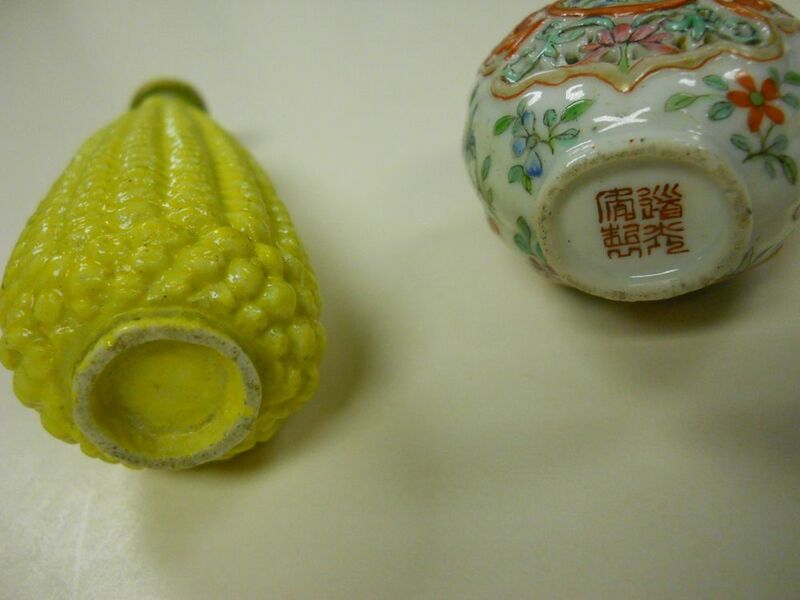 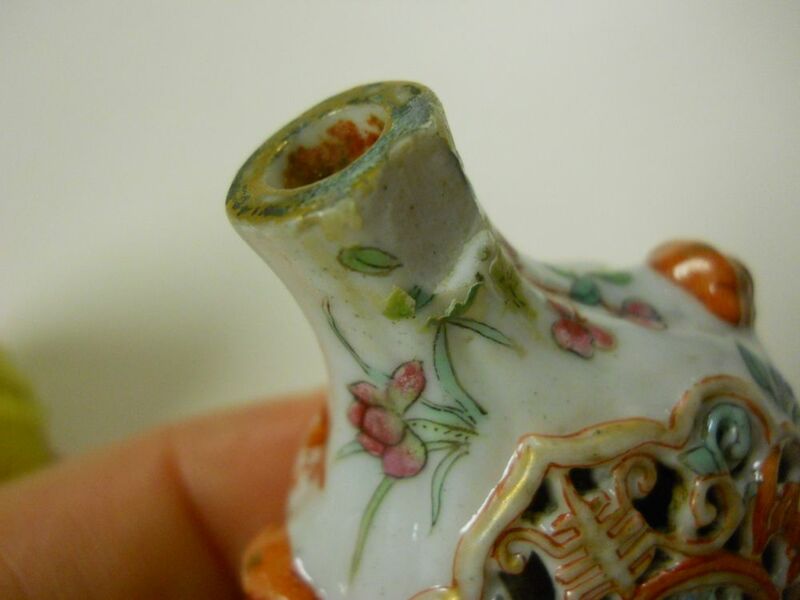 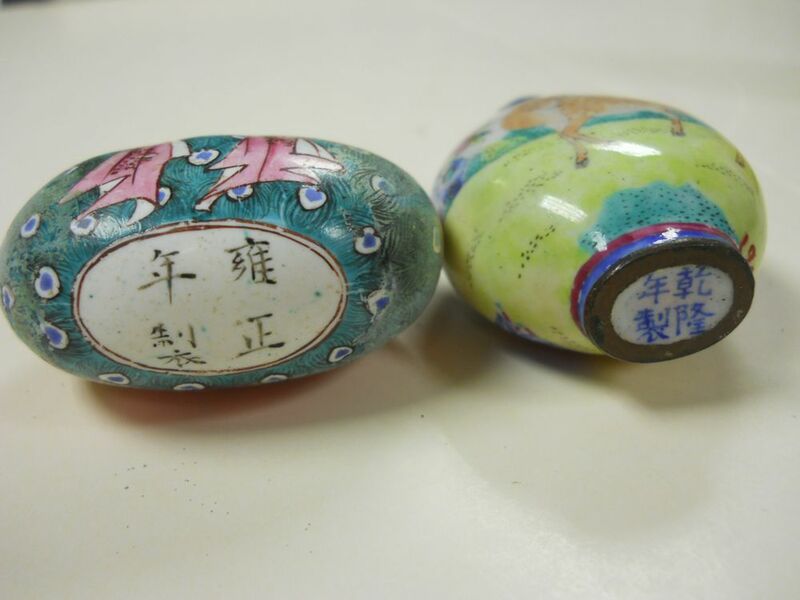 pierced one with a chip near mouth rim, one of the canton enameled ones missing a stopper and the other with surface stains, corn shape one with the stopper not opening.